Leaves of the Mitragyna Speciosa tree, once crushed to form powder, can produce kratom. Kratom is a herb that can be used for therapeutic, medicinal, and recreational reasons. The plant is cultivated in numerous areas across Southeast Asia, especially in countries such as Thailand, Malaysia, Papua New Guinea, Indonesia, and Myanmar. Given that the herb holds opioid qualities, it is recommended that consumers should seek expert advice before using. In some countries, such as Denmark, the United States, Sweden, and Malaysia, kratom is considered to be worthy of state control under narcotic regulations. Different variants of kratom are known by the area in which they are cultivated, and on most occasions, the area of cultivation determines how the herb will be used. Indo kratom, which is a well-known Indo kratom, is cultivated in Indonesia. Indo kratom can be further divided into Ultra enhanced Indo and Super Indo. Numerous other kratom strains have adopted the name Indo given the strain’s popularity. Super Indo Kratom: This Indo kratom strain is made out of the plant’s largest leaves. Generally, larger leaves contain more alkaloids. This renders the super Indo variant to be particularly stronger than other variants. It is thus used for many purposes. Premium Indo Kratom: This kratom variant is made by carefully extracting the leaves of the Mitragyna Speciosa tree. The result is full of alkaloids and quite pure. The premium Indo kratom is quite popular especially because it is relatively cheap to buy. Novice consumers are advised to use this kratom strain as a first experience. Ultra-enhanced Indo Kratom: This kratom strain is made out of kratom powder that has mixed with some extract in the ratio of 75:25. Due to the dilution, this kratom strain is not usually as powerful, potent, and pure as other strains. Extracts: Extracts are extracted from boiled Mitragyna Speciosa leaves. The hard resin formed thereafter is crushed into powder that is more potent than traditional kratom strains. Stimulant: The Mitragyna Speciosa tree is a member of the coffee plant species. Coffee is also used as a stimulant at times. Some consumers prefer taking kratom in the morning instead of the usual coffee. Kratom can considerably boost energy levels. However, users should take care to consume the right dose for safety reasons. Mood Alteration: Kratom is a good mood altering substance or an anti-depressant. Most consumers use the herb to welcome feelings of well-being and peace once they feel low, sad, or depressed. The herb can also be used for recreational reasons to offer a feeling of euphoria. Indo kratom, in most cases, is used to counter feelings of anxiety. Users, however, must be sure to use the right variant for anxiety, as the wrong variant might worsen the situation. Pain Relief: Given that kratom acts on the receptors in your brain, it can be used effectively as a pain relief medication. People, sometimes, consume kratom to counter chronic pain problems and remedy withdrawal symptoms from the use of narcotics. Even though there is no evidence that the use of kratom can cause harmful effects, the FDA warns that there are yet to find substantive evidence to prove that the use of capsules or other forms of kratom can be safe for the human body. Deaths have been reported in the past out of kratom interaction with other narcotics. Other symptoms might include addiction, nausea, and seizures. The Indo kratom can be found in green, red, and white strains. This is why it has a wide range of effects. Red Indo is sedating, white Indo can be the most uplifting, and green fits gently between the others. In most cases, Indo kratom variants are more relaxing and sedating. The super Indo kratom, however, is considered to be a full spectrum kratom. Full spectrum kratom implies that the herb has the ability to offer a wide range of sedating and uplifting effects at the same time. This allows the user to feel sedated and benefit from the analgesic impact while also remaining uplifted, energized, and focused. This strain can be rocket fuel for consumers. You might need smaller doses to get the right array of effects. You should also start very gently. Some beginners purchase the super Indo kratom and take excessive amounts at first. They are later overwhelmed by the effects that kick in fast. It is advisable to consume a low dose, around 2 grams, or a moderate dose, around 5 grams at a time. Generally, the super Indo kratom should be similar to other types of kratom. However, you have to remain conservative in how you use it as compared to other strains. These side effects are mitigated when you take lower doses of the strain. However, even at lower doses, you might feel slight effects if you are susceptible. This kratom strain is made once the standard kratom resin is mixed with alkaloids. Basically, some kratom is boiled. It is then processed to remove from alkaloids, which are thereafter inserted into the kratom resin. The quality of ultra-enhanced Indo kratom you use depends on the process used to extract it. People are often confused about which kratom type has a particular range of effects. Generally speaking, kratom effects boil down to whether it is white kratom, red kratom, or green kratom. Green vein ultra-enhanced Indo kratom fits gently between the three. The Ultra-enhanced Indo is quite potent. Consequently, the correct dose is dependent upon the effects you hope to realize. If you hope to experience standard effects, the ultra-enhanced kratom should be taken in low doses to achieve the same. This implies that you will have to take fewer doses to realize a standard effect. Most consumers, however, purchase the ultra-enhanced Indo kratom to realize a strong effect with far less consumption. Additionally, your body can build tolerance quickly if you take the herb more often. This means that you will have to consume more powder to realize the same effects. If you follow the guidelines mentioned above while taking ultra-enhanced Indo kratom, you will most definitely feel a significantly greater effect. You should, therefore, consider working a gram below each bracket. If you prefer taking the medium dose, consider taking two grams of ultra-enhanced Indo kratom. The white vein kratom is quite stimulating. It, sometimes, leads to outright euphoria upon consumption of higher amounts. The purity of this stimulation effects depends on the type and quality of kratom used. In most cases, however, the white Indo kratom is well regarded due to its clean effects. What might be different about the white vein kratom is that it has sedation and analgesic effects, which are also common with the red vein strain. 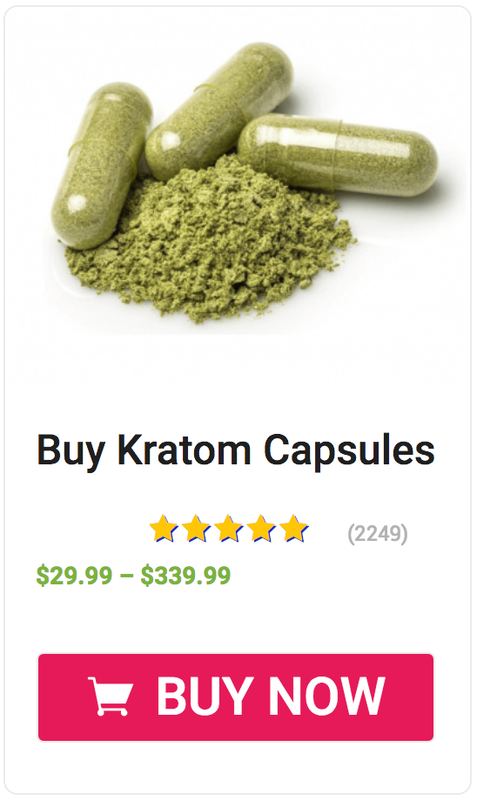 Even though they are subtle, unless the user consumes a high dose, it still offers a good balance that other white kratom strains might not deliver. The red vein variant is more pain relieving and sedating. If you hope to alleviate symptoms and chill out through your stress and anxiety symptoms, the red vein can be a good option. It is, however, not energizing. This can be quite negative to someone who hopes to continue functioning. The red vein strain is considered to be an evening variant, especially because it helps the consumer to relax. However, not only is it sedative and analgesic in nature, but it also has some characteristics of the mood-lifting and energetic Indo kratom. How is the Red Vein Indo Kratom Different from Other Red Vein Strains? Compared to other kratom variants, the red vein Indo kratom has a high amount of Mitragynine. This alkaloid can be used to relieve pain and relax. Mitragynine, which is the active compound in kratom, blocks the pain receptors inside your brain hence its analgesic quality. Moreover, the red vein Indo kratom has tough cellular walls, which explains why your body might take a while to metabolize it. Consequently, the strain’s effects might take a while to kick in, but will definitely last longer than other strains. How is the Red Vein Indo Kratom Different from the Red Bali? Bali is an island that is considered to be part of the Indonesian property. Some kratom users might get confused with these two strains. They are, however, two different strains. There is a significant gap between red Indo and red Bali regarding the effects of each. Based on user reviews, the red Bali is more sedative as compared to the red vein Indo. This is because the red Indo kratom can still give a mood-lifting and energizing effect. A user might feel more inactive and lethargic after consuming the red Bali. However, at higher doses, the red Bali can lead to euphoria, which you might not realize with the red vein Indo as the Indo strain focuses more on relaxing the consumer. Additionally, you are more likely going to experience nausea with the red Bali than with the red Indo. Also, the user might experience a clear mind, the ability to process issues and think, and better focus with the red Indo while the red Bali will most likely cause excessive stimulation. Most kratom consumers have stated that the red vein Indo is a good strain to take for people who seek relaxation but remain focused. Many consumers have reported it to be potent as it can relieve them from chronic pain within two hours of consuming it. Unlike traditional relaxants, this strain will not leave you completely inactive and lethargic. The red Indo will improve your brain activity while relieving stress. Due to these effects, the red Indo has grown in popularity amongst many kratom users. Other people prefer the red Indo strain because they believe it can boost their immunity. Users, who have flu for example, might realize immediate relief from using this kratom strain. The soothing effects of the red Indo kratom are best felt when you wish to relax. Some companies prefer to refer to the Indo kratom as the Indonesian Gem. Your body system will develop immunity against the Indo kratom if you consume it often. Your brain receptors are likely to adapt against the strain. With this in mind, you will need to take larger doses to realize the same effect with time. However, if you frequently change the kratom strain that you are using, your brain receptors will remain fresh. Even though you might develop some resistance against the herb, the rate of resistance-growth will be considerably slower. This is very essential especially if you consume the herb to relieve you of pain. Consider rotating different strains by consuming a sedating variant today and a stimulating strain the following day. Effects of taking kratom might vary. For this reason, it is important to experiment with different vein strains and types. If one strain fails to work well, consider experimenting with another. This way you will soon find out which kratom variants work best for you.